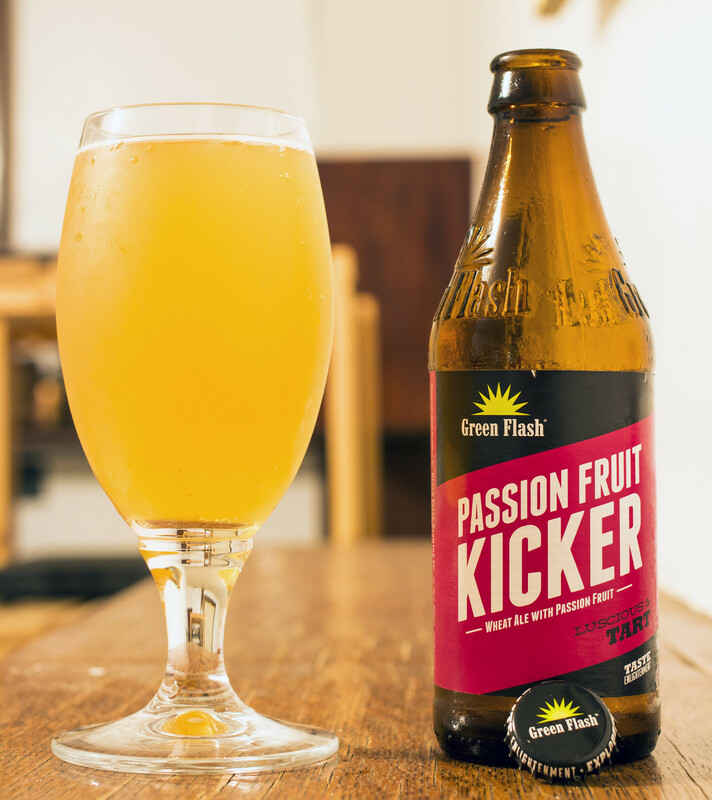 With a name like Passion Fruit Kicker, it sounds more of a summer time vodka cooler rather than a tropical Wheat Ale, but hey - Green Flash Brewing makes some damned good beers, so here we go! Appearance: Passion Fruit Kicker pours a completely cloudy pineapple juice yellow ale with a minimal amount of white head keeping in touch with only one of side of the glass - less than minimal at best. Aroma: Very tropical and fruity. I'm getting notes of passion fruit, pineapple, a hefty amount of wheat, lemon and a hint of raspberry. For the hop presence - zilch. For some reason I thought this was going to be an IPA, so I guess I'm not disappointed by the lack of hop presence here. Taste: I'm getting the sweetness of the passionfruit in here big time, pineapple, raspberry, lemon, wheat and a bit of banana. Overall Thoughts: Very straight forward, it's a full-on passion fruit and tropical fiesta in a beer bottle. Great for summer time patio drinks and would easily be loved by those who love radlers and by those who love putting orange wedges in their wheat ales. Quite sweet, very fruity and makes me wish I was on a beach in the Caribbean right now.